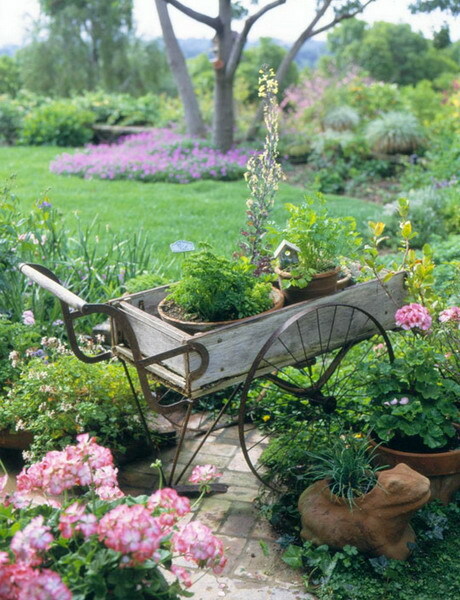 The union of vintage and country styles looks especially great in a garden. It adds originality and the atmosphere of retro to it. Besides it’s very easy to implement there. All you need is to add some details in these styles there. For example you can easily add some vintage charm to the garden with planters and flower pots. Here are some examples how you can do that. Most of these planters can be made by yourself from old crates, boxes, old vases and other things. Enjoy these ideas!